Our Orange County real estate news blog covers everything from local market statistics, to home value trends, to community happenings. That’s because we care about the community and want to help you find your place in it. Please reach out if you have any questions at all. We’d love to talk with you! Spring has sprung, and my kids are already patiently waiting for the Easter Bunny to hop into town. Each year, I get in on the fun around town and participate as a local business at the Los Alamitos Spring Carnival on the Saturday before Easter. This year I’m handing out 500 boxes of Peeps! The City of Los Alamitos and I want to invite you to welcome in the spring season with the annual MemorialCare Miller Children’s & Women’s Hospital Long Beach Spring Carnival, presented by AYSO 159. The event is held on Saturday, April 20, from 9:00 a.m. to 11:30 a.m. at Little Cottonwood Park (4000 Farquhar Ave). It’s free to attend and lots of fun. Come out and enjoy family activities for all ages, including egg hunts, face painting, balloon twisting, carnival games, prizes, live entertainment, food trucks, games, inflatables, and even a photo opp with Peter Rabbit! Egg hunts will begin at 9:30 a.m. with the 0-2 age group and continue by age every 5 minutes. Live entertainment is offered by Sugar Lips, a cover band performing classic rock and pop songs for all to enjoy. 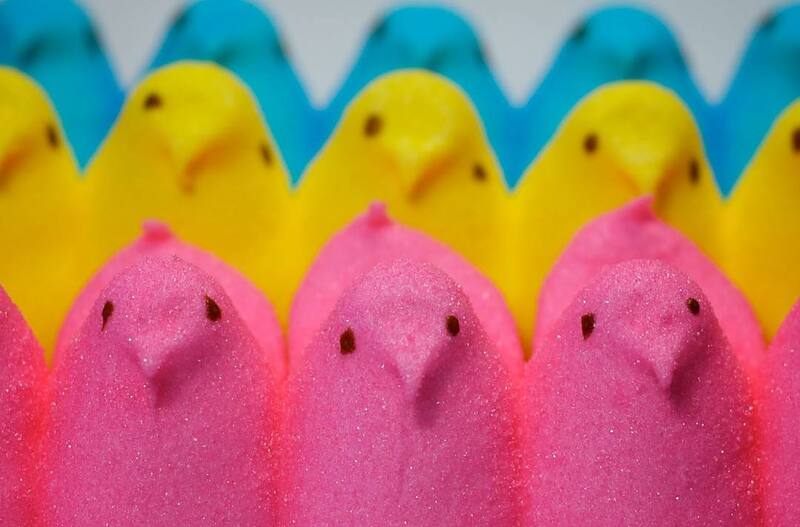 Don’t miss out on the festivities and the opportunity to mingle with your neighbors, or at least grab a box of peeps! If you are reading this and are looking to move to Los Alamitos/Orange County, give me (Tim De Shazer) a call at 562- 881-8252. I’d love to help you make the transition. You can also download our free neighborhood guide to coastal North Orange County here. One of the biggest decisions a parent makes while raising a family is where their kids will go to school. If you are looking to move into the area, you can rest assured that your kids' education will be in good hands as we have some of the best districts in Southern California. For the families looking to call Huntington Beach home, one of the biggest determining factors is the school system. 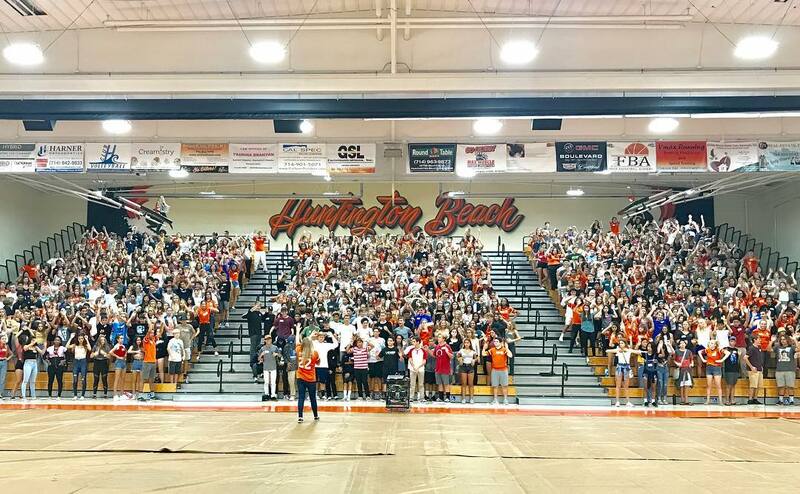 This area is served by the Huntington Beach City School District. The schools include Agnes L. Smith Elementary School, Ethel Dwyer Middle School, and Huntington Beach High School. The school district has a mission to support the academic and personal development of every student so that each student becomes a responsible, well-rounded individual who achieves success and fulfillment in a global environment. Rossmoor schools are part of the Los Alamitos Unified School District. Younger students (K-5) can attend four of the six elementary schools of the district. Rossmoor, Weaver, Lee, and Hopkinson are all located within the boundaries of Rossmoor. As for upper-level schooling, Rossmoor residents have adjacent schools in Oak Middle School or McAuliffe Middle School. High school students go to Laurel or Los Alamitos High School, which is a Gold Ribbon School. When it comes to college, the area contains multiple reputable schools, including California State University Long Beach which is less than a 10-minute drive from Rossmoor. Other nearby campuses include Pepperdine University, the University of California Irvine, Chapman University, Cal State Dominguez Hills, USC, UCLA, and the Art Institute of California, and more. ● 70% of students attend college. Edison High School is known for it’s 30 CIF Championships and 25 accelerated course programs and AP offerings. One of that main factors that inspire people to live in Seal Beach is its affordable beachside homes and the excellence in academics. Seal Beach schools are part of the Los Alamitos Unified School District. Younger students (K-5) go to McGaugh Elementary School, Hopkinson Elementary School, Rossmoor Elementary, Lee Elementary, Los Alamitos Elementary or Weaver Elementary. Students in grades 6–8 attend either Oak Middle School or McAuliffe Middle School. High school students go to Los Alamitos High School, which is a Gold Ribbon School. 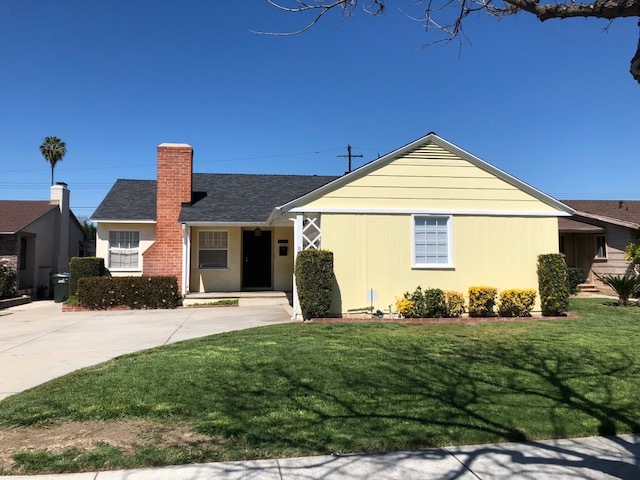 If you or someone you know is looking to move to the area and needs assistance in the home buying processes or advice on what school to choose, give me (Tim De Shazer) a call at (562) 881-8252. I’m happy to help you make the best decision that suits your child's needs. What Can I Afford When Buying A Home? Our team at I Love OC Homes has been getting a lot of questions lately about what people can afford when it comes to purchasing a home. Our goal is always to show customers what they can and can't afford to get the ball rolling on their home buying process. This week, we sat down with our team’s trusted Loan Officer to go over some common numbers for you to compare your current situation. When it comes to living at the beach, it’s common that instead of purchasing a house, you could be interested in buying a condo. In the case of a $400k condo with HOA dues of $400, a minimum down payment going with the conventional loan can be 5% down. This is a TOTAL payment of $2,715 per month including the PITI and HOA dues, with NO PMI. This would need around a $75k per year income to qualify, assuming not too much other monthly debt. It’s also possible that someone who makes $60k per year could own the same condo with a co-signer as co-signers no longer need to live in the property. If there is not enough income or a large number of funds from a parent, the parent can be a non-occupying, co-borrower. For the $60k per year buyer, the maximum payment from a qualifying standpoint is about $2,200 per month. To drop a payment from $2,715 to $2,200, the transaction would require a down payment of approximately $75,000. Down payments can be a total gift from a parent. Another small point - a lot of condo projects have a higher percentage of tenants than owner occupants. We do not care if there are 10% owners and 90% tenants. As long as your buyer is going to live there, we don't care about this percentage. Lately, our team has been putting a lot of people into 5% and 10% down products at higher price points. We just closed a couple who lives in Long Beach that bought a second home for $900k in the Temecula wine country putting 10% down. This included a first mortgage for 80% of the price and a second mortgage for 10% of the price. An 80/10/10 combo is another way to avoid having PMI with less than 20% down. A $750k home with 5% down of $37,500 on a non-PMI loan, with good credit, is a total payment of $4,626 per month. The needed income would be $10,000 per month or $120k per year. If you did a loan with PMI, the payment would be about $350 more per month, even though we can offer a lower rate. The no PMI loans have slightly higher rates whereas loans with PMI have a higher monthly cost. There is also the potential of lowering the rate by having the seller pay some of the closing costs. Our 7/1 ARM programs have great low rates that we can usually qualify based on pricing and credit score! So if someone is having a qualifying issue, this program can help, but not without a 20% down payment. We know that looking at these numbers can be overwhelming, so if you are looking at purchasing a home give us a call at (562) 881-8252, and we will run them for you. Like many industries, some people try skipping the professionals to attempt to achieve success on their own. The real estate industry is not immune to this. While many people believe that they can do it on their own, they typically end up encountering more costs along with headaches that they are not equipped to handle. There are many benefits to hiring a professional real estate agent when it comes to buying or selling a home. In 2018 alone, 91% of home sellers worked with a real estate agent to sell their home as reported by The National Association of Realtors (NAR). Clients say that they not only benefit financially, but they also gain peace of mind while working with an agent. Some of the added value includes their possession of market knowledge, having professional connections, and have detailed knowledge of the location. Our team at I Love OC Homes wants to provide you with a closer look at these benefits. When homeowners list their own homes, they will often see that their home will sit on the market for extended periods due to the fact they set the price too high based on personal connection. What they think their home is worth based on emotions. This will most likely not be in line with the current market. This is where an agent can help navigate the process to set a fair and objective price. In the end, the goal is to sell your home, not scare buyers away. 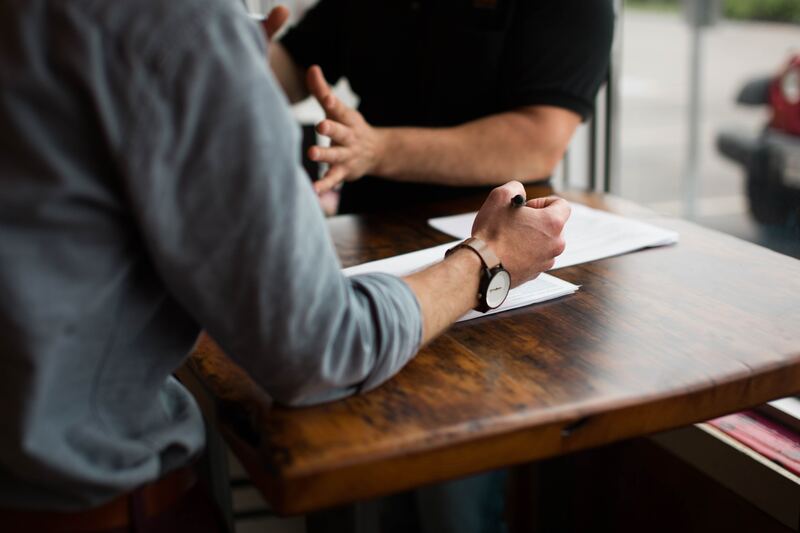 The professional connections that come along with working with an agent go beyond the standard contracts. Our team at I Love OC Homes goes above and beyond during every step of the process to offer home stagers, declutterers, market your home, and even can stage and photograph your home. All of these would have to be outsourced if you were doing it on your own. A good agent knows the neighborhoods they work in like the back of their hand, and this is because we call these communities home. This where we live, work, play, and raise our families. We are familiar with factors like the age of the homes, school ratings, traffic/commute details, and accessibility to shopping or public transportation. For I Love OC Homes, we’ve even created a detailed neighborhood guide to coastal North Orange County. If you are thinking about buying or selling your home, call me (Tim De Shazer) at (562) 881-8252 or email me tim@iloveochomes.com. 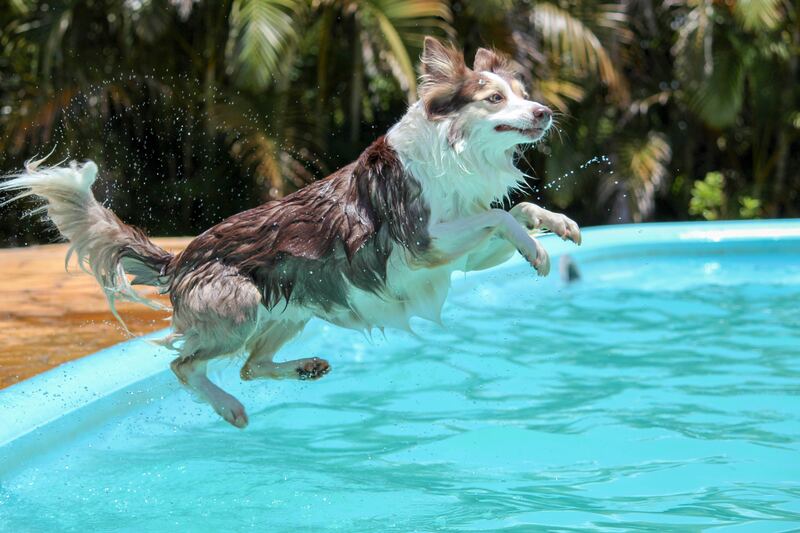 With winter behind us, our team at I Love OC Homes is jumping right into the topic of purchasing a home with and without a pool. When the ocean is in your backyard, it may not be the most necessary item on your list of wants. Others may argue that it’s the best way to soak without the sand and salt you encounter during a long summer day at the beach. When looking for your new home, it is critical to focus on the major items that can’t be changed. For example, let’s say you really want a pool but can’t find your “dream home” that also has a pool. In this case, it is important to focus on the lot size, lot dimensions, and would it be possible to add a pool after purchase. Not only does a pool increase the value of your home, but there are many social benefits to owning a home with a pool such as being able to host pool parties. Pools are also a great source to work on your mental and physical health. Swimming laps is a whole-body workout that can increase the heart rate, tone muscles, and manage weight loss. That’s not all either, pools are suitable for all ages, so the entire family benefits. A pool is also great for people rehabbing from injuries. While pools are a good look aesthetically for your home, they come with a lot of responsibility in terms of maintenance and upkeep. Not to mention, there are extra insurance costs and safety issues that can arise. If you are looking to work with a real estate team, we will do everything we can to find your dream home and sell your current house, with or without a pool. I (Tim De Shazer) am available anytime to answer questions, show you properties, and make the processes as seamless as possible. Please give me a call at (562) 881-8252. You can also follow I Love OC Homes on Facebook, and Instagram for daily happenings in Coastal North Orange County and real estate tips. One of the things I love most in our northern OC coastal communities is the parent support for the school and extracurricular activities. Friends of Rossmoor is a parent-founded, nonprofit foundation that strives to raise funds for educational programs for all the children of Rossmoor Elementary School here in Rossmoor, California where both my children attend school. Our team at I love OC Homes believes that education and leadership are both important for the improvement of today's society. Even though we live in some of the most beloved communities of Southern California, not all of our local schools have enough funding required to improve their schools. Some schools also lack the ability to provide the necessary study materials and environment for proper education. This is why my family is especially grateful for the Friends of Rossmoor foundation. 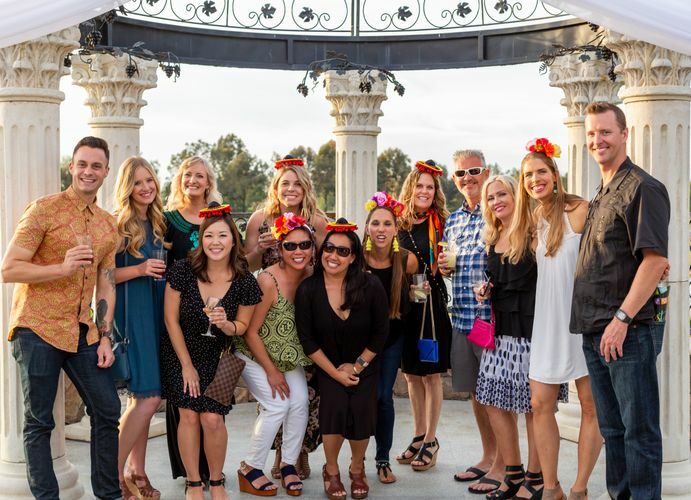 Friends of Rossmoor’s largest annual fundraiser is Knightlife and will take place on Saturday, March 23rd from 5:00 p.m. to 11:00 p.m. at Navy Golf Course in Cypress. This year’s extravaganza includes dinner, music, as well as silent and live auctions. The purpose of Friends of Rossmoor is to support the enrichment of the educational program for all the children of Rossmoor Schools. This is accomplished by raising funds for staff and supplies needed to run programs, for educational development of personnel, and for purchasing the equipment needed to run the educational programs. The STEM (science, technology, engineering, and math) lab at Rossmoor Elementary is fully funded and supported by the Friends of Rossmoor parent group. The Art Program and necessary supplies are also funded by donations and fundraisers. Friends of Rossmoor also supports the School Site House Program used to enhance community and team building. This year, I am honored to not only attend the event but volunteer my time to capture the evening behind my lens. If you or someone you know want to get involved and support Friends of Rossmoor or the fundraiser you can learn more about sponsorship packages and donations HERE. We’re so lucky to work with local families that are looking to relocate into their next family home. Karla and Todd Olson recently bought and sold with Tim De Shazer of I Love OC Homes, and they wanted to share their experience with you. 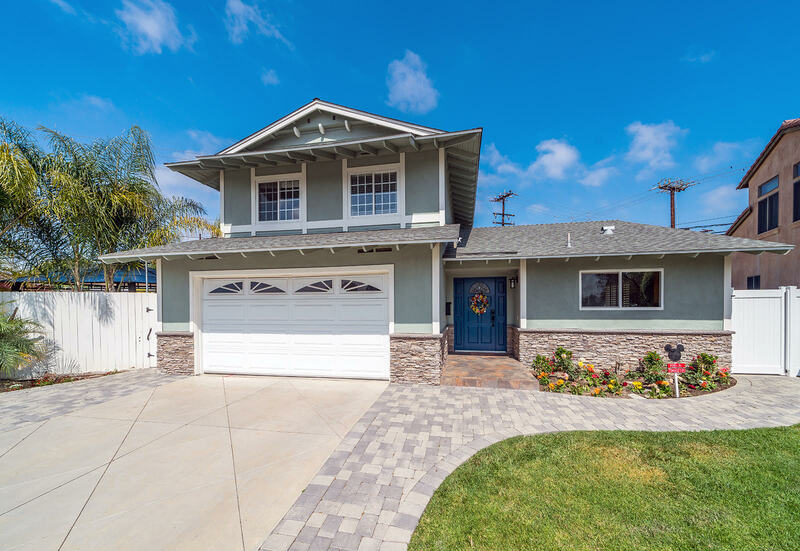 I Love OC Homes: Were there other real estate agents you met besides Tim? Why did you decide to work with Tim DeShazer and I Love OC Homes? Olson family: Yes; we met one other agent referred to us by family. We decided to go with Tim because after our first meeting with him, he had done his research, and we just clicked. He was very easy to talk to and felt like we were having a conversation instead of a sales pitch. I Love OC Homes: Was Tim on time and did he make quality appointments? Olson family: Always. He was always respectful of our time and adjusted appointments based on our needs. I Love OC Homes: What was your overall experience working with the I Love OC Homes declutter specialist and handyman? Olson family: We worked with a declutter specialist. It was a good starting point to show us what was needed in order to sell. She was hands-on and got to work showing us the best use for areas in the home. I Love OC Homes: Did I Love OC Homes offer a certain level of advice, services, support, and market knowledge? Olson family: Yes, Tim came with data for us on multiple occasions and was able to show different options with the sale. I Love OC Homes: How likely are you to refer Tim and the team at I Love OC Homes to friends? I Love OC Homes: What was your overall experience working with Tim and the I Love OC Homes team? Olson family: It was a great experience. It was our first sale of a home, and he was able to guide us through any questions we had. Even when our first buyer backed out, and we were leaving for vacation, Tim and the team were able to secure a second buyer for our home within 24 hours. He hired a fantastic photographer that really showed the best parts of our home and was able to sell our house quickly. We are so fortunate to work with clients who are satisfied so much they are willing to recommend Tim and the entire I Love OC Homes to family and friends looking to buy or sell in coastal North Orange County. If you are reading this and need advice on where to start the process give me (Tim De Shazer) a call at (562) 881-8252. We look forward to working with you. 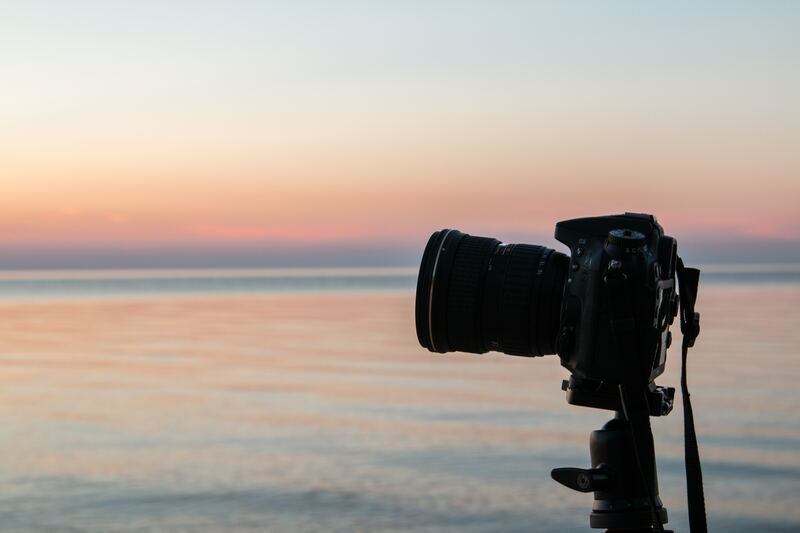 Our founder of Love OC Homes is not only a father and a successful real estate agent but also has a long history as a professional photographer. We sat down with Tim and learned just how he got into photography and how he incorporates it into his business with clients today. Tim started taking photos as a volunteer when he was just 16-years-old. He would volunteer with as many photographers as possible that would let him help out. He pushed brooms, held bags, washed toilets, painted many walls, ran plumbing, and even electrical. Whatever he could do to have an opportunity in photography. In 1992, Tim got his start as a volunteer with the Miss Universe organization. In 1994 he got his first paying job at the 1994 Miss Universe Pageant in the Philippines. He worked with the pageant organization for a few years covering the Miss Teen, Miss USA, and Miss Universe Pageants. Tim continued to perfect his craft, assisting other photographers. In 1996, he had worked his way into the lab making prints for the AMPAS Photographer of the “Academy of Motion Picture, Arts, and Sciences” on Oscar night. He got his first big break as an Oscar photographer in 1996. He was responsible for the Aerial photography for the 68th Academy Awards. His success and responsibility opened the doors to his first shot on location at the 69th Academy Awards in 1997. Tim has returned to photography off and on over the past 23 years and has enjoyed being part of AMPAS’ photographer and editor team. Tim has also provided his services to the United States Olympic Committee - shooting the team photos in Atlanta for the 1996 games. He also worked the Paralympics in Sydney in 2000. Tim also believes in giving back and working organizations that help others. He has done work with both the Ronald McDonald Foundation and Children’s Hospital of Los Angeles. You might even have seen his work at local sports events like USC and UCLA football, and USC basketball. As a photographer, Tim helps companies tell their stories. When he transitioned into real estate many years ago, he wanted to provide the same service to his clients. He kept true to his storytelling and highlighting the interesting features. Each job and person are different, and that’s what Tim and the team at I Love OC Homes loves. The first priority for Tim is helping a family with their dreams. No story is the same. How can he roll out the red carpet for your home search or home sale and tell your story? If you or someone you know are looking to move to Coastal North Orange County give Tim and our team a call today at (562) 881-8252. Since Valentine's Day fell on a Thursday, we’re celebrating local business we love all weekend, and the best part is that we will be past the prix fixe menus, reservations, and high prices. The perfect time for you to enjoy your significant other out on the town in some of our team at I Love OC Homes’ favorite spots. 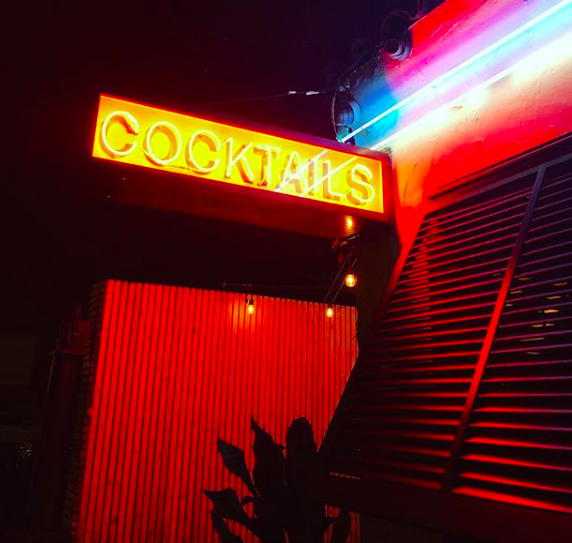 Mahé was started in Seal Beach by three good friends who believed in great food, exceptional service, and making lasting friendships with our customers. The atmosphere is casual, comfortable, and cool. There is live music and some of the finest chefs around serving the highest quality steaks, the freshest fish available, and an amazing sushi bar! A must try in Seal Beach. Walt's Wharf is an award-winning seafood restaurant located in Seal Beach, and specializes in the freshest seafood, prepared over an open oak fire. They also offer an extensive wine list featuring selections from top local wineries. Ola, which is Spanish for “wave” and Hawaiian for “life” is the inspiration behind Ola Mexican Kitchen, an exciting and tasty new culinary concept located at Pacific City in Huntington Beach. With one of the best views on the coast, Ola offers authentic Mexican comfort food with South of the Border influences. If you enjoy laid-back joint that lures locals with its classic surf 'n' turf, casual vibe, and kitschy decor, Captain Jacks is your go-to in Surf City! Duke’s may be touristy, but this Hawaiian-themed restaurant that is named after surfing legend Duke Kahanamoku is a kick. With unbeatable views of the beach, fresh fish and punchy cocktails, it’s a primo spot. All of these restaurants are original to Coastal North Orange County and are just a few of the many reasons we love calling this place home. Each year we like showing our love by supporting local businesses. I Love OC Homes: Tell us about working with Tim and the I Love OC Homes team. Dominic Dannan: Tim was always on time and always checked in with us in between appointments. I Love OC Homes: Can you walk us through some of the factors in the sale of your home? Dominic Dannan: Tim and the declutter specialists gave us a fairly large checklist of things to do, fix, move, and clean. We were able to finish them all, and I am positive that it lead to our home being sold for over $1 million. Dominic Dannan: Tim was always positive about selling our house and had to keep my wife’s hopes of a higher selling point in check, but it was great. He didn’t give us a false assurance but knew the market and what our house was worth. Dominic Dannan: Tim explained the differences in the price of our home being so close to Magnolia compared to a home on the interior track in HB. He explained because we were so close to a major street, the location was desirable, but it cooled off some buyers. He definitely knows what he is talking about. He set us up with a handyman who helped me out, as my fingers are normally useless away from a keyboard. In addition, the declutter specialist was amazing and came out for several days to assist us with our task list. 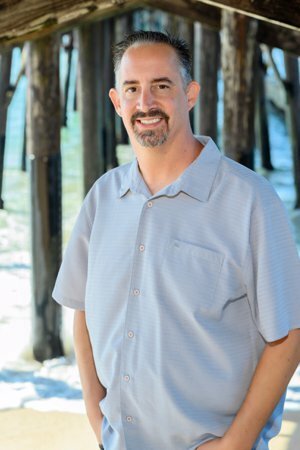 Dominic Dannan: I would absolutely recommend Tim to any of my friends in Orange County as their realtor. He does an amazing job, he is knowledgeable, and his positive attitude is what makes the difference between someone who cares for their clients versus someone interested in just another sale. With the help of our experienced team, we have another satisfied I Love OC Homes client who was willing to share their story. If you are looking to sell your home or relocate to or from the area, give us a call at (562) 881-8252. We’re ready to help declutter your home and have a profitable experience.